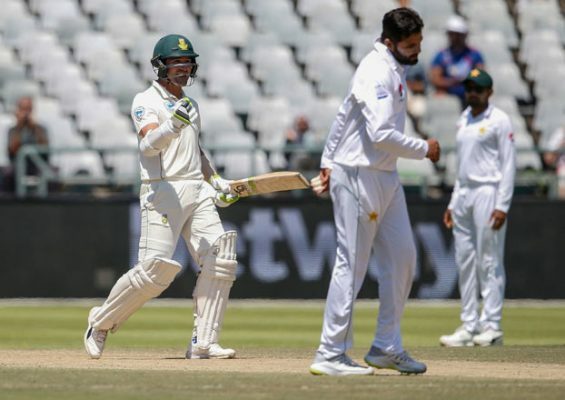 Cape Town: South Africa beat Pakistan by nine wickets on the fourth day of the second Test at Newlands on Sunday. Pakistan claimed a wicket and forced Hashim Amla to retire hurt before South Africa passed their meagre target after less than an hour’s play at Newlands. Mohammad Amir effectively conceded 10 runs in extras off two successive deliveries, with a wide and a no-ball which both flew over Sarfraz’s head.